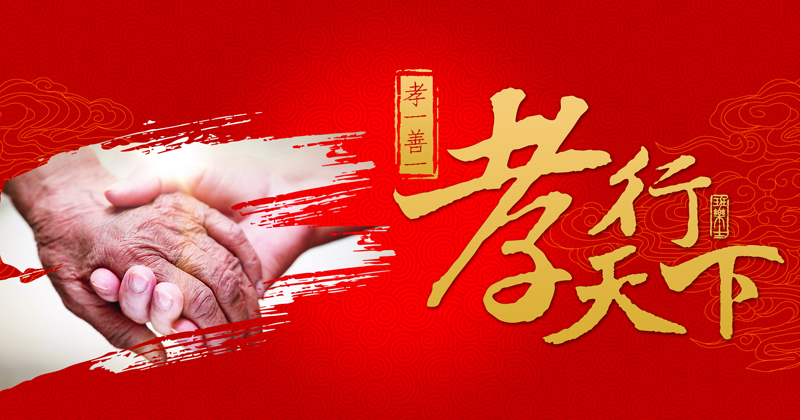 The fully open of second-child policy, which means that China is facing another cruel challenge---the aging population increasing.Pension has become a common problem faced by whole society, though the second-child policy has fully opened, this can’t change the trend of rapid aging. To make more old people get a better life, Balas continues the activity of "Piety in the word". At the beginning of new year, we start this activity to share piety around the world! For this donation ,we together with hundreds of “Public Service Ambassador” to share the whole society love to all the old people. 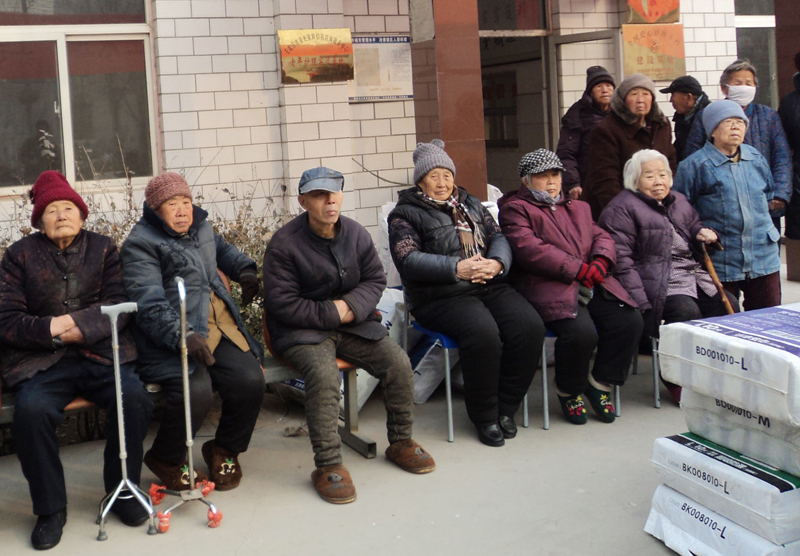 This activity, Balas together with hundreds of public service ambassadors entered into theapartment for the elderly in Shijiazhuang city of Hebei province. For the hundreds of old people, the adult care product brought by our representative of public benefit, just solve their demand. 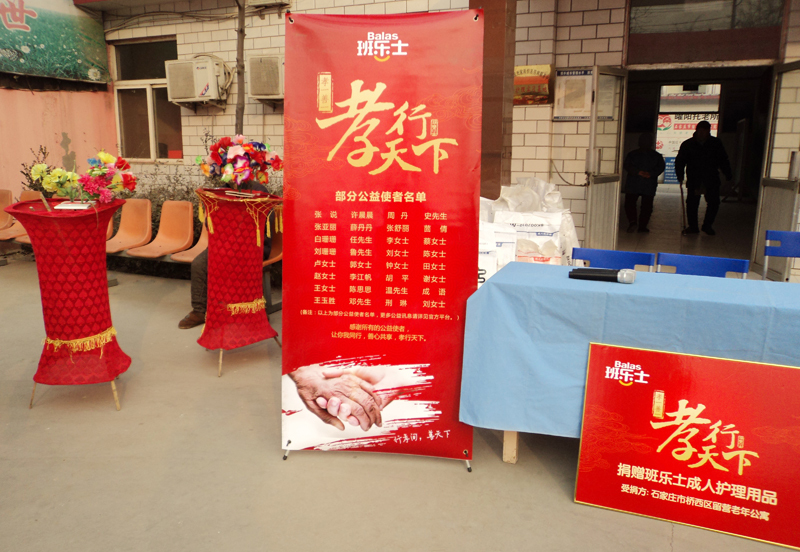 It was said that, since the beginning of Balas’ piety activity in 2016, it had attracted lots of love ambassadors to participate by the style of “You buy, I donate” in Hebei province. 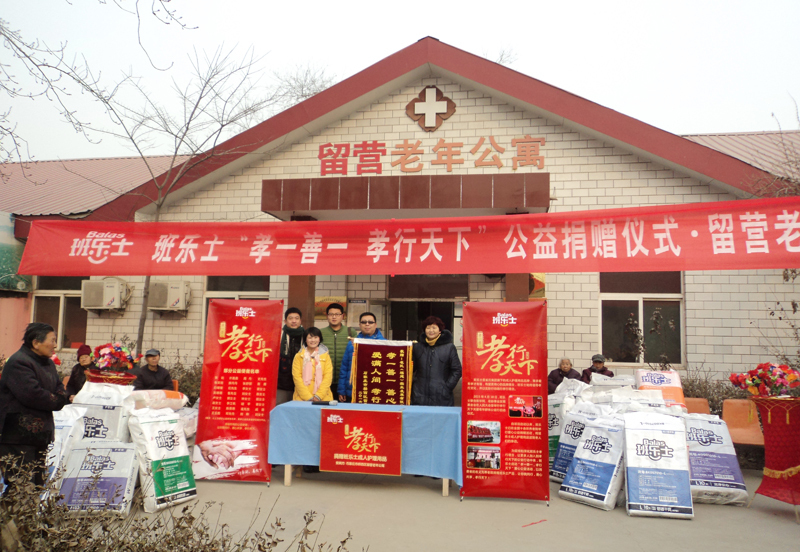 People who buy the adult care products, Balas will donate one bag to charity house by the name of customers. The activity only open two weeks, it had got hundreds of supporters. This just a beginning,and in the near future, Balas will donate much more adult care products. One day, we will grow old, at that time we also hope that we can spend the remaining years, and now the first thing is to learn to love and be grateful. What we can do is limited for the elderly, but even a glimmer of care for the elderly is also a comfort and happiness. Balas’ public benefit activity of " piety in the world" will not stop the pace, and we hope to use this action to infect more people. Starting from you and me to join our action of piety, try our best to offer the love and warmth to the elderly.